Please note: This door will work with standard water heaters only, will not fit the V-model water heaters. Doors for Suburban water heaters are available in a standard door or a flush mount door for 6 gallon SW model water heaters. 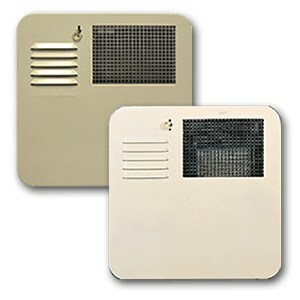 The 10 & 12 Gallon SW models require the use of the flush mount door (same door fits both). Both of these water heater exterior doors are made of corrosion resistant steel. The water heater doors are finished with tough baked on enamel to provide extra chip resistance. Standard Doors are installed without bending flanges or installing corner gussets for easy installation and a superior seal. Door Measures: 15" X 15"